This unit will usually require additional parts! Portable battery banks are available HERE from TalentCell. 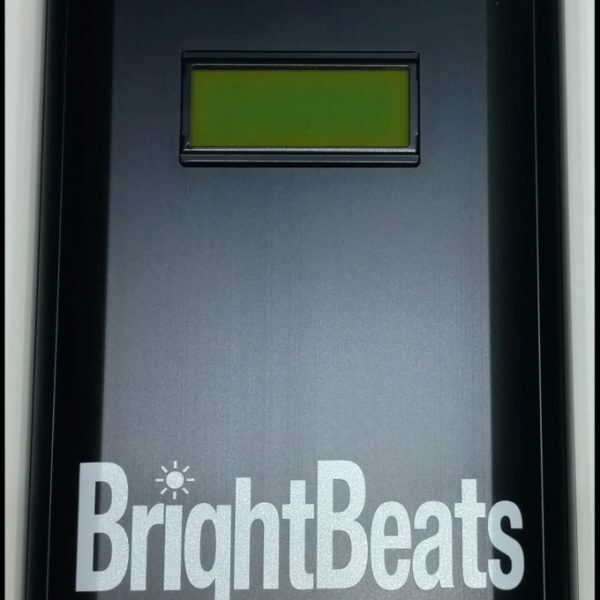 **Please note that BrightBeats LLC cannot be responsible for third party battery manufactures compatibility. Compact and rugged aluminum case. Single channel output with up to 4 amps continuous output to drive even the largest drums. 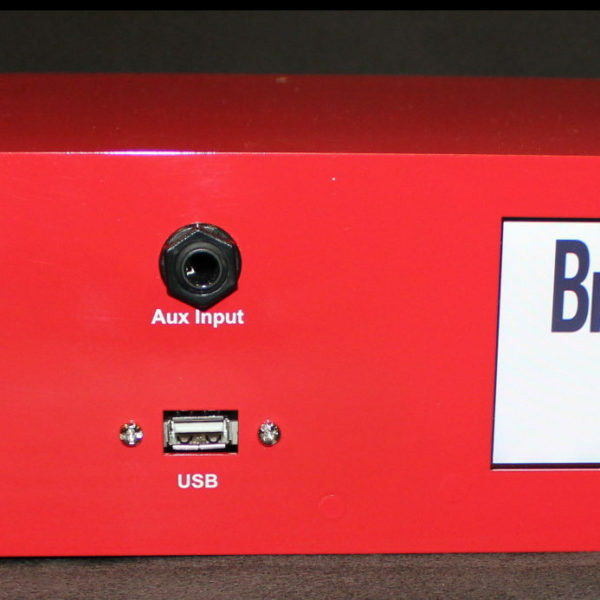 BrightBeats exclusive MultFunction knob for changing settings without hassle. Back lit knob provides visual color feedback for each setting. Output must be regulated to 12 volts DC to prevent damaging your LED’s. Raw battery packs have wide voltage swings. Good power packs will have an over discharge and over charge protection circuit as well as a over current protector to prevent damage. Output connector that is 5.5mm x 2.1mm or use an adapter cable which are widely available. Talent Cell has a battery bank that puts out 3 Amps at 12 volts which can drive about 3 meters of our LED strips. Here’s a LINK to it. Talent Cell also has a larger battery pack which puts out 6 Amps at 12 volts. Here’s the LINK. Dual foot switch jack allows the user to press one switch to shut down the lights or press the other switch to turn them on and disable the trigger. Multiple units can be linked to one foot switch pedal using “Y” cables if needed. Output connector is a 4 pin Molex plug. An adapter cable can be purchased for LED connections. Input jack is a 1/4″ TRS connector. The ring on the trigger input is left floating so you can just use a “Y” splitter on dual zone electronic drums.